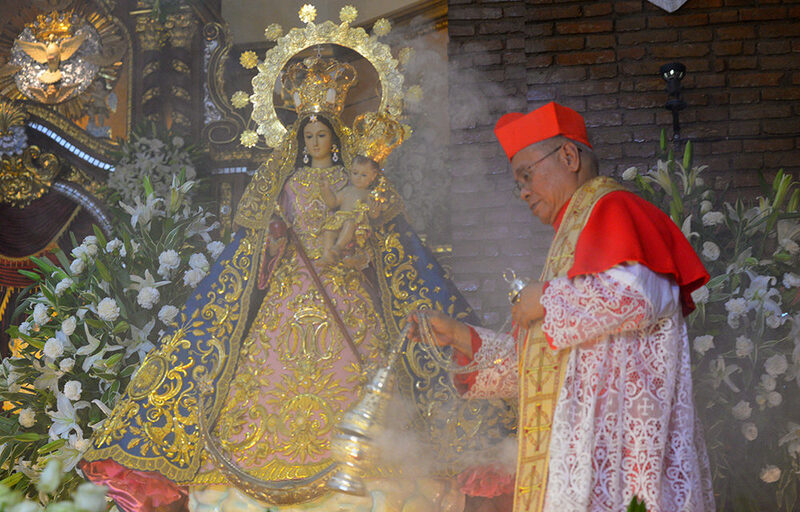 Hymns of praises shook the church of San Mateo as the image of the Nuestra Señora de Aranzazu was canonically crowned after three centuries of devotion in the Philippines. Our Lady, dressed in gold-embroidered rose and blue garments, was crowned by Cotabato Archbishop Orlando Beltran Quevedo during a Mass attended by more than a thousand devotees. 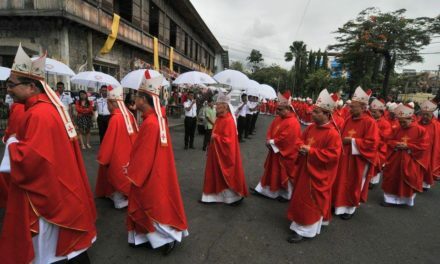 Th cardinal said that the coronation is a recognition of the “maturity of faith and devotion” of the faithful in San Mateo. He added that it is also a recognition of the strong Marian devotion in the Philippines, which is being manifested by the thick pages of stories of miracles and favors sought through her intercession. 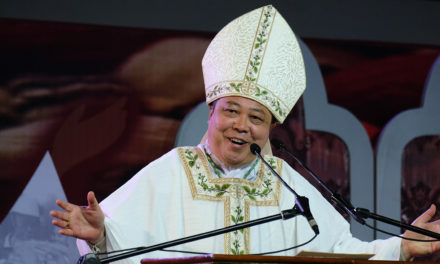 In his homily, the first cardinal from Mindanao also exhorted the faithful to turn to Mary in praying for healing, unity and peace in the country. “Allow her and her child to be the queen and the king of our minds and hearts, the king and queen of our families,” he said. Pope Francis approved the canonical coronation of the image of the Nuestra Señora de Aranzazu in July 2016. 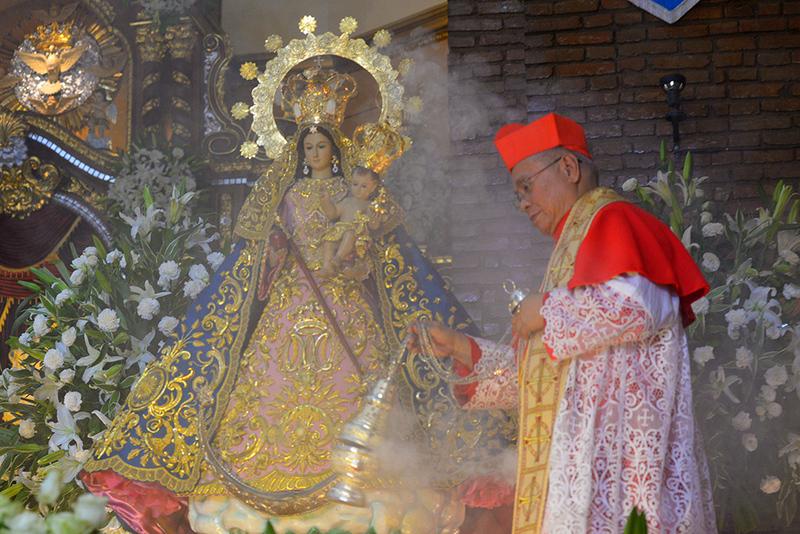 It was the third canonically crowned image of the Blessed Mother in Antipolo diocese after the image of the Our Lady of Peace and Good Voyage in 1926, and Marikina’s Patroness, Our Lady of the Abandoned, in 2005. The devotion to the Nuestra Señora de Aranzazu started in 1469 in Spain when the Virgin Mary appeared nestled in a thorny bush to young Rodrigo de Balzategui. It was brought to the Philippines in 1705 by the Jesuits through Fr. Juan Echazabal. The fast acceptance of the community of San Mateo to the devotion allowed the construction of the church in honor of Our Lady in 1716.